A new nine-part documentary from Revealed Films, “Christ Revealed,” explores the scientific evidence for the resurrection of Christ. Featuring top Christian apologists and historians and filmed on-location in Israel and across America, the docu-series is an epic journey of revelation about the truth of one of the Bible’s most controversial claims. The resurrection of Christ has long fascinated the world, and it has been the focus of many movies and television series including “The DaVinci Code” and History Channel’s “The Bible.” However, over one-third of Americans are unconvinced of the resurrection’s veracity, according to Rasmussen Reports. The series is produced by the award-winning David Brookwell, who has produced projects such as “Soul Surfer” and “That’s So Raven!” Releasing Nov. 9, the series will be available exclusively online at www.ChristRevealed.com. Viewers who register on the website will be able to access the full series for free for a period of nine days. “Christ Revealed” features top historians and apologists including Dr. Sean McDowell, Associate Professor in the Christian Apologetics program at Biola University, and Greg Koukl, founder of Stand to Reason. 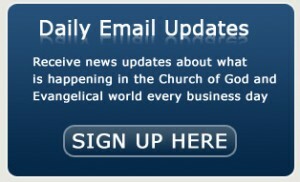 For more information on “Christ Revealed,” please visit www.ChristRevealed.com.